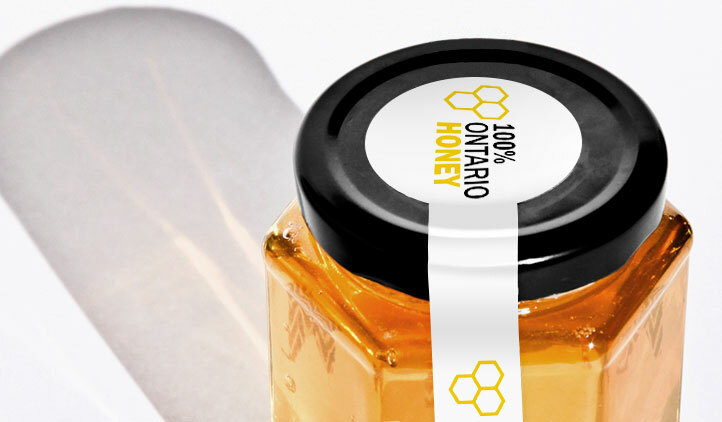 Create your own custom honey labels that help make your products look great and comply with the Ontario Beekeepers Association Standards. Choose from a variety of materials. No minimum order quantities on most products! Need help designing your label? Check out our Art & Design Services. 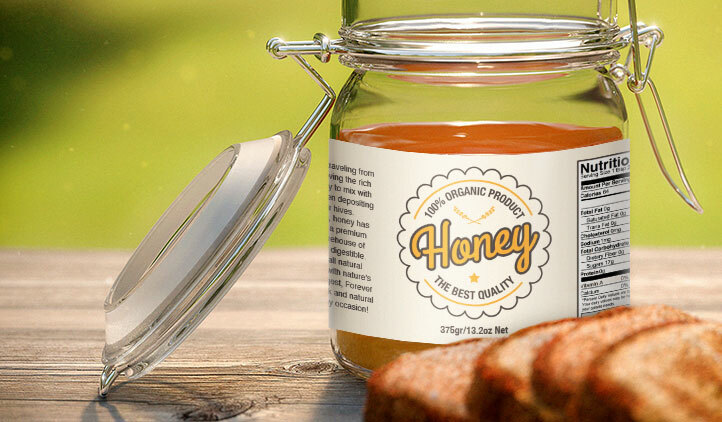 Make sure your honey labels look as good as your honey tastes! 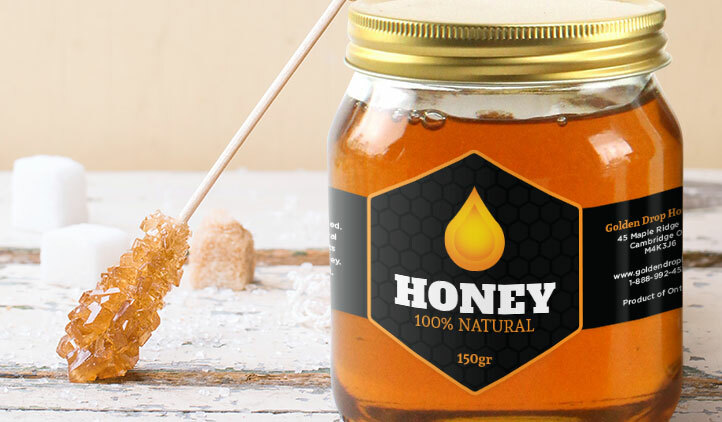 These professional-grade label materials will give your honey products a high-quality professional look at an affordable cost. perfect for beekeeping hobbyists or honey connoisseurs. Choose from a variety of materials to suit your needs, including tamper evident labels! We have no minimum order quantities for most products, allowing you to make the most of your budget. To ensure your labels meet regulation standards, please see the Ministry of Agriculture, Food and Rural Affairs Requirements Article below. 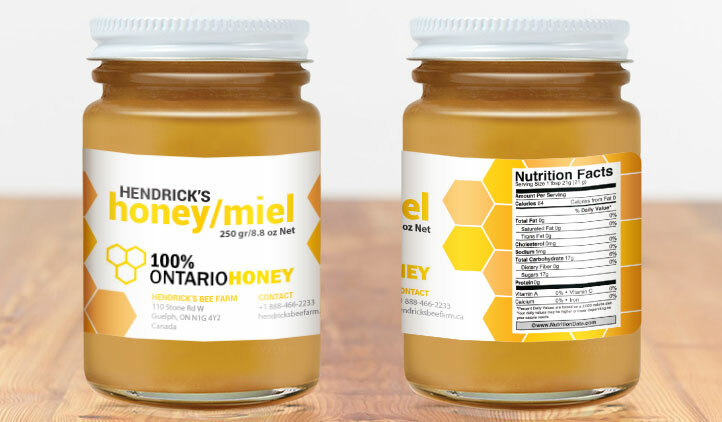 Honey sold or distributed within Ontario must meet these standards. Download the Ministry of Agriculture, Food and Rural Affairs Requirements Article.